The RADAR Community Advisory Board (CAB) is a vital component of the project and includes a group of thirty youth and community members reflective of the cohort population who meets twice per year to advise on new concepts, collaborations, and direct dissemination. The CAB has actively participated in the project since its inception, providing feedback that was integrated into the project name, logo, recruitment scripts, and consent language, as well as ongoing advice on all aspects of the project. For example, CAB members have provided feedback on measure development, item order and wording, and future questionnaires for the study, including information such as where youth access health services, PrEP Discontinuation motivations, and Chicago-specific trends in youth attitudes around substance use. Regarding the demographics of the CAB: 68% of CAB members are between the ages of 16 and 29. The CAB composition is 42% Black, 23% White, 16% Latino, 9.5% Asian, and 9.5% Multiracial. Of the 30 members, 3 identify as Transgender women and 3 identify as Non-Binary individuals. Nearly 60% (N=18) have an organizational identification (LGBT organization, student organization, or medical/health organization), although some of the 18 are also youth members (18-29). These organizations include the Center on Halsted, the Puerto Rican Cultural Center, Chicago Black Gay Men’s Caucus, and the Chicago Department of Public Health. The CAB has provided critical role as a venue for dissemination, as members pass information on to their partner agencies and/or peer groups in a real-time fashion directly relevant to their work, for example on STI rates and predominant areas of disinformation about PrEP. We have collaborated, through the CAB, on presentations and events with community agencies to present information about RADAR to health professionals and community members. RADAR staff with Community Partners at the Center on Halsted, who have been invaluable partners in this project. 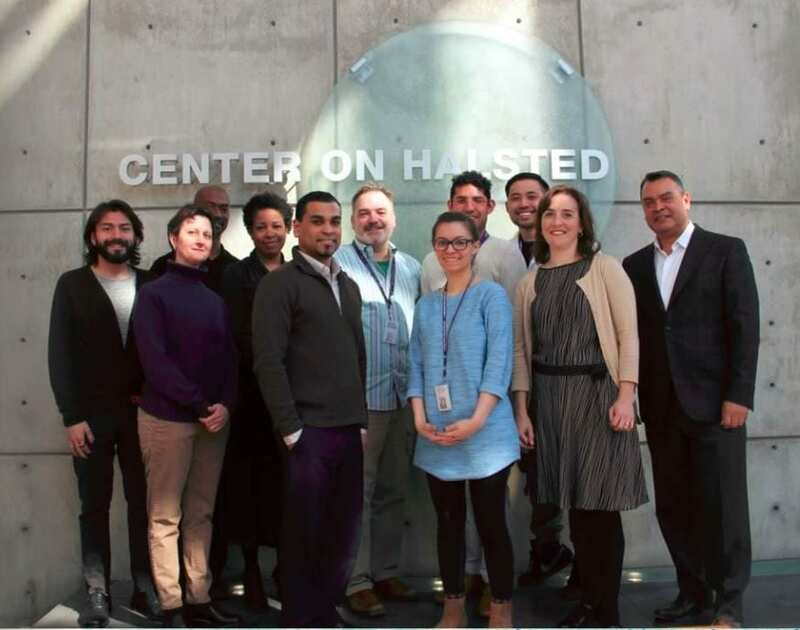 RADAR is a resident partner at the Center on Halsted, the Midwest’s most comprehensive community center dedicated to advancing community and securing the health and well-being of the Lesbian, Gay, Bisexual, Transgender and Queer (LGBTQ) people of Chicagoland. In addition, RADAR engages in long-term collaborations with the Chicago Department of Health, Chicago House & Social Service Agency, and other community-based organizations. RADAR utilizes relationships with local service providers and organizations to provide affirmative and accessible referrals to participants according to their needs. Here, RADAR staff are pictured during a visit to another local community organization, Howard Brown’s Broadway Youth Center.